Her Time Has [Finally] Come. Stephanie Essensa can’t remember a time in her life when fighting wasn’t on her mind. Before she was even old enough to drive, she was play fighting with her friends, or “wrastling” as she calls it. She always had an interest in the martial arts, but her mother, like any good mom, was worried for her safety and dismissed the idea. So Stephanie waited. When she was fourteen when her high school offered boxing lessons in of one of the school’s clubs. Since it was a safe, controlled environment and there wouldn’t be competitions, Essensa’s mother let her join. The boxing club sparked a tiny desire in the back Stephanie’s mind: to become a champion. She continued patiently with the boxing club, without competing, just going to exercise and have fun. When Essensa turned seventeen years old she got a job at the front desk of the Arashi-Do gym in Red Deer. This constantly put her in a martial arts environment with like-minded people. She trained boxing, kickboxing, and Jiu Jitsu, and caught a glimpse of a new sport called “MMA.” Her small spark of an idea of becoming a champion grew and she gathered the courage to test herself in the ring. When she finally turned 18, she immediately wanted an MMA match. Stephanie’s desire to fight in a cage would have to wait a few more years. In 2004 she took to kickboxing instead, and racked up an impressive 13-1 amateur Muay Thai record, all the while honing her skills and patiently waiting for her chance to shine in mixed martial arts. “MMA picked up popularity, and I was finally able to make the transition in 2010-2011,” Essensa said. That was when, at the age of twenty-four, Essensa entered into her first amateur mixed martial arts match. Stephanie defeated her first opponent by TKO stoppage and was elated. Stephanie defeated her next three opponents by submission, racking up an undefeated, 4-0 amateur record. 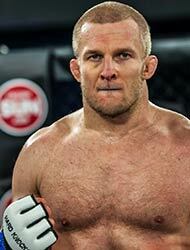 “After my amateur fighting experience it was a no brainer for me, I might as well go pro and start getting paid for what I love doing,” Essensa said. She is now 2-1 as a professional fighter, her only loss being to Hard Knocks’ title contender Lindsay Garbatt. Stephanie’s long term goal is to fight in the Ultimate Fighting Championship. For now, she says, she will stay patient; she is focused on getting onto an Invicta fight card. Essensa has been training and working hard her whole life, and her small spark of a desire that started years ago is now within her reach. She is determined to become a world champion.